Mine was the perfect mix of productivity and relaxation...can't really ask for more than that! I have another installment of Work, Weekend, Whenever with one of my favorite new pieces! My sister bought me this fabulous fur leopard coat for Christmas and I can't get enough of it! I feel like animal prints are just as versatile as any neutral in your closet - - they go with everything! Here's how I've been wearing my new coat! Wow- you make it work! Cute Kim!! This is the cutest!! Love that weekend style. 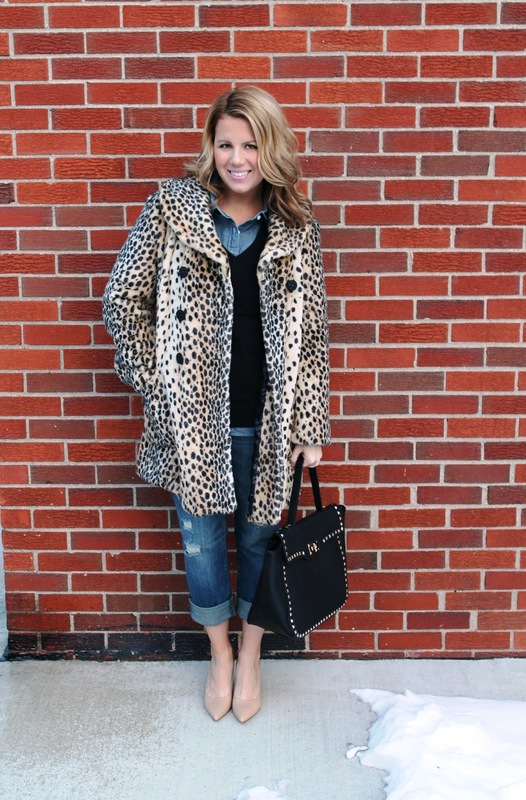 I just snagged a leopard coat and LOVING your inspiration!! Thanks. Thanks so much! I totally got those jeans because of you - - so thank YOU! Can't wait to see how you wear your coat, Florida style! what size are you wearing and what is your height?